Thinking of redecorating your living room? Have you been searching for stunning living room ideas? Well you are at the right place. 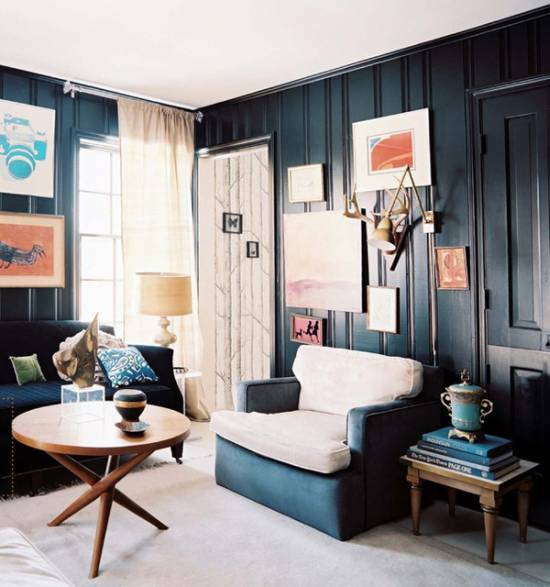 Why not make a bold statement by painting your living room walls black? Black is bold and nothing makes more of a statement then a black wall. 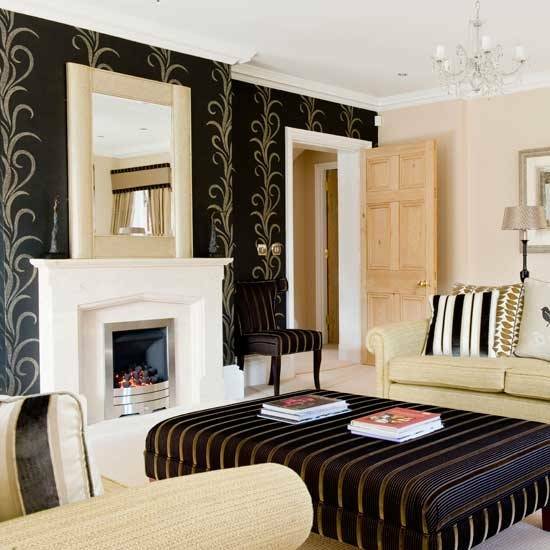 We have carefully selected some of the best possible black wall ideas which can add an instant appeal to your living room. Read on to see which idea works best for your homes. This is really a very sophisticated and stunning idea. You too can enhance the look of your living room using any kind of picture frames to add depth to an otherwise stark black living room wall. 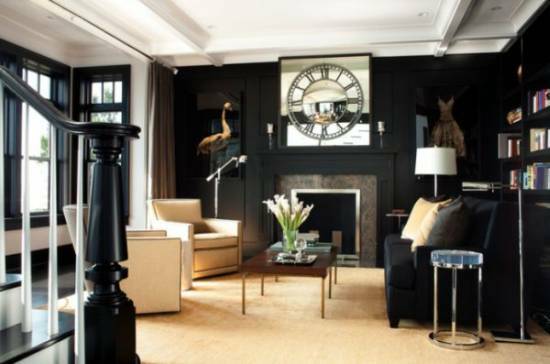 This all black living room spells elegance and glamor. The hanging chandelier adds a classy and opulent touch. The chaise loungers along with the plush sofas all add to the sophisticated appeal of this beautiful living room. 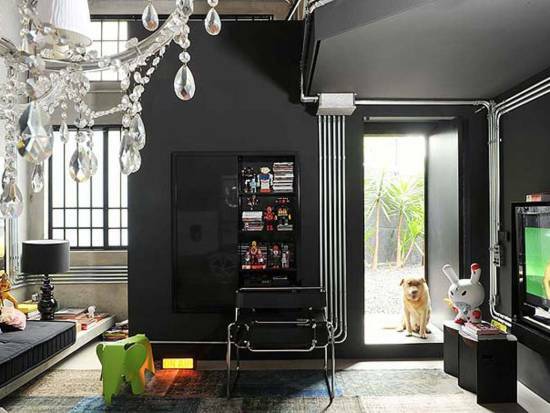 The black wall in a spacious room creates a dramatic contrast which is pleasing to the eye. The fireplace looks grand, set against the black backdrop. For those who have a confined space, this idea is going to work wonders. Since Black can be overwhelming in a small room, using this idea can greatly enhance the visual appeal without making the living room look smaller. The black wall in this room is accentuated by mounted mirrors and memorabilia. 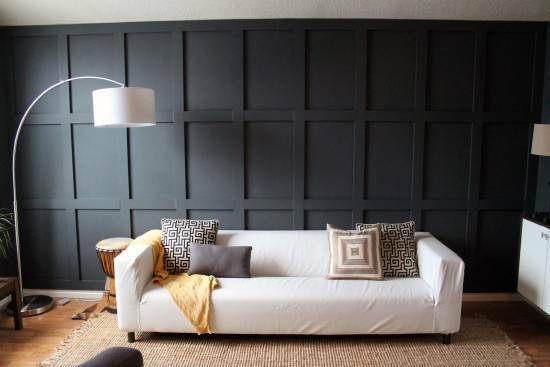 It’s a great way of adding a personal touch to a dark colored wall thus making it look less austere. 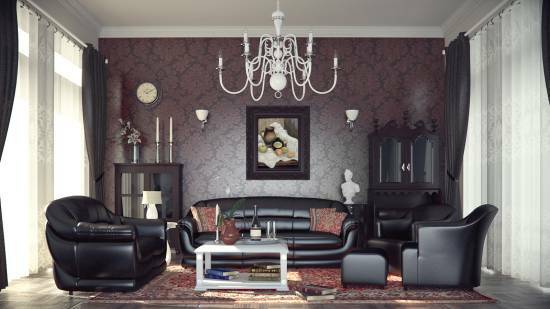 Though one might think twice before painting the whole living room walls black, the right décor can add to it and make it look beautiful. 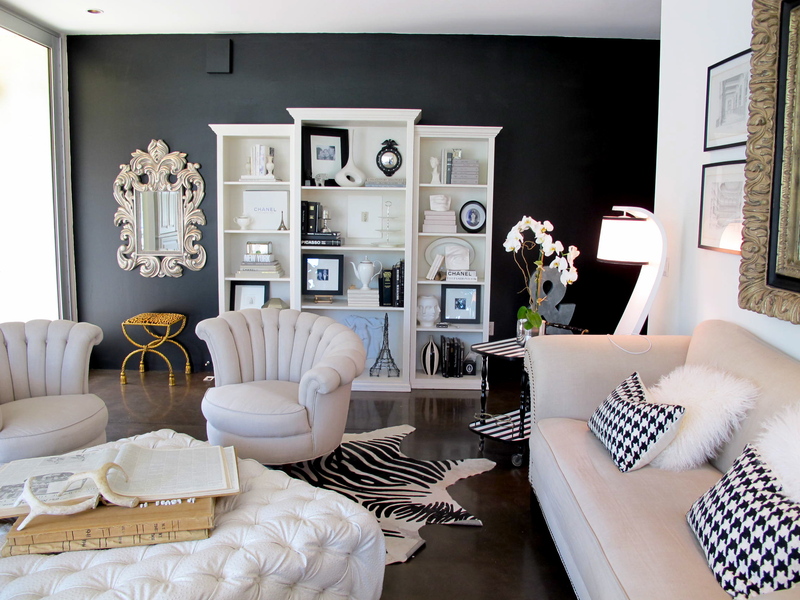 The white furniture works well with the black walls and give it a classy appearance. The classy black wall is enhanced with an even classier entertainment center. The sophisticated furniture adds a glamorous touch to this beautiful living room. Black walls look splendid when you put up a nice sophisticated painting. It enhances the look of the living room as well. Decals are all the rage these days and can add a chic and trendy touch to your homes. 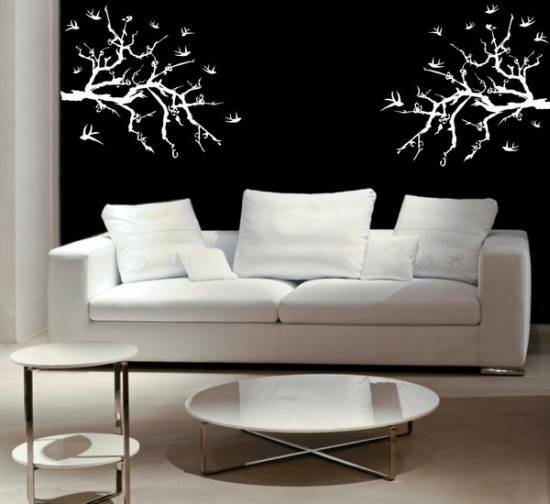 This tasteful black and white decal makes this living room look stunning. This monochrome living room has a real classy touch. The white shelf adorned with exquisite show pieces and gilded mirror add an air of opulence to this living room. The black wainscoting when paired with the stark white walls adds a balance to the room without making it appear too intimidating. 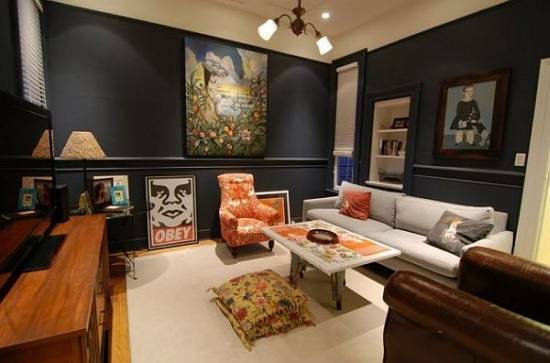 The lovely faux painted black wall brings out the classiness of this room’s retro style décor. The comfy sofas and the chandelier add to the grace of the room. 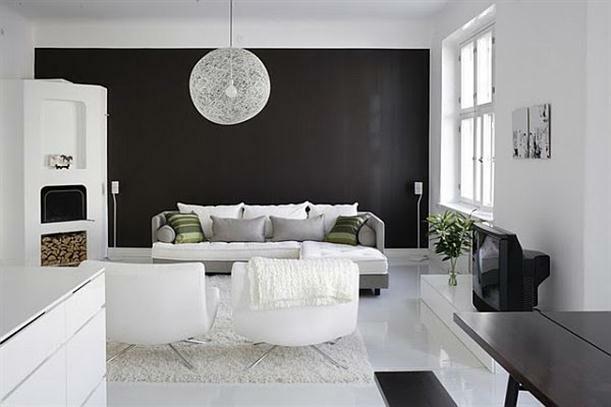 The simple and basic living room is made to appear all the more elegant because of the presence of the stark black wall. 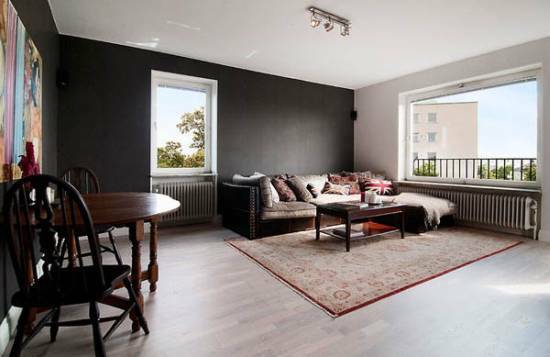 The clean cut appearance of the room gives it an uncomplicated look which is easy on the eyes. The classy and tasteful décor is made all the more appealing by the presence of the black walls. 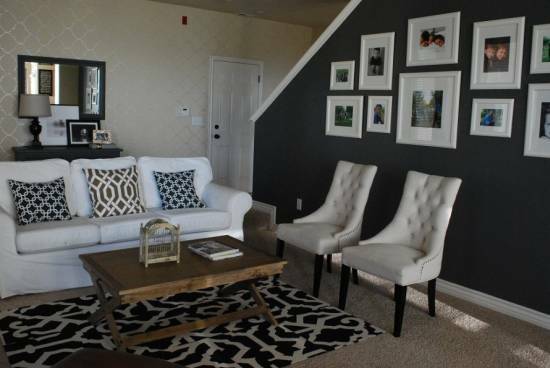 The living room looks modern and chic. This lovely living room is stylish and modern. 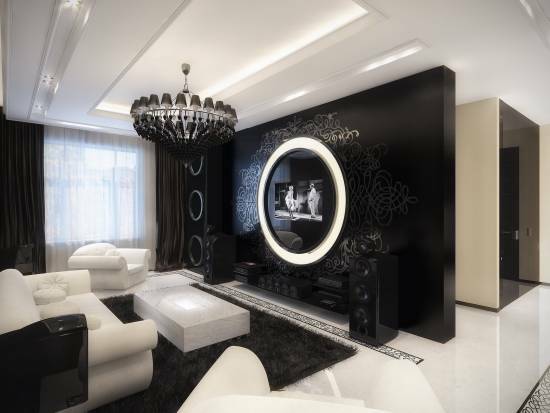 Definitely not for the faint hearted, this living room spells glamor with a capital G.
The black walls with built in shelves add a touch of old age glamor to this living room. It’s a great idea for those who don’t have a very big room. The black and gold wall paper creates a beautiful backdrop for the fire place. The beauty of the room is enhanced by the presence of the comfy furniture. This dazzling black wall with gold accents is stunning to look at and evokes image of Hollywood glamor. If you don’t like a wall which is completely black you can break the monotony using murals. These come in a variety of shapes and designs. Sometimes murals can even be painted directly on the wall as well. This lovely animal print on the wall looks remarkable. It makes the living room décor look striking and gorgeous. This stylish living room is bound to impress you. The classic combination of black chalkboard walls enhanced with picture frames is dramatic when paired with the soft shag pile runner. One thing about Black walls is that they tend to bring out the depth of any room. Though some people might prefer to use black for just one wall, there are a few who wouldn’t mind using black all over. 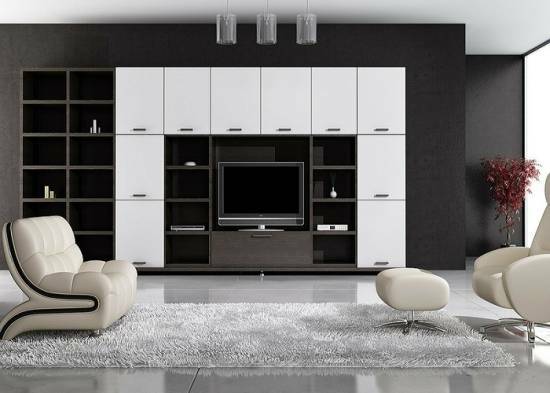 Choose from any of the above mentioned living room ideas to bring out the best in your homes.